The Milwaukee M12™ Cordless Heated Jacket provides unmatched warmth and all-day performance to keep you comfortable through the coldest workday. 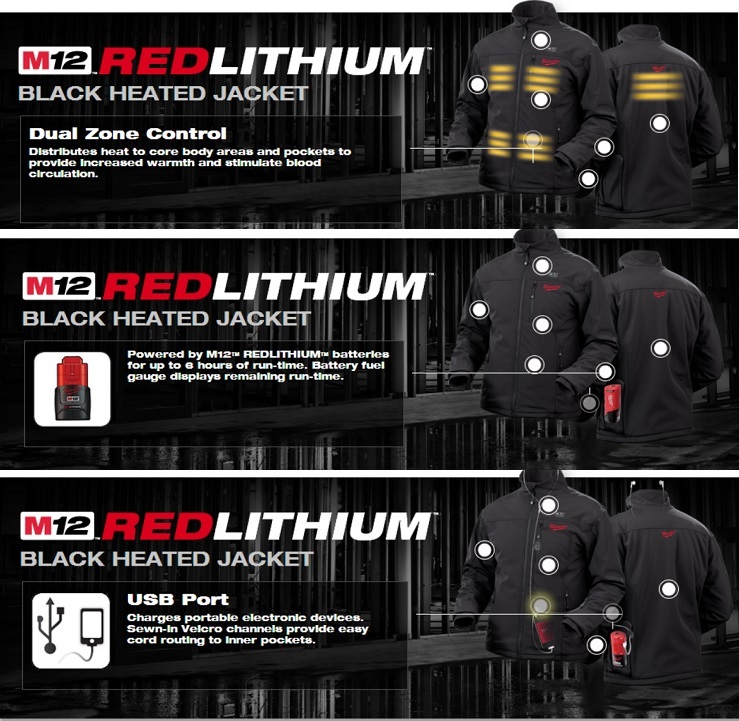 The original Milwaukee heated jacket pairs state-of-the-art carbon heating elements with multi-layered fabric technology to take cold out of the equation on the jobsite or during outdoor activities. 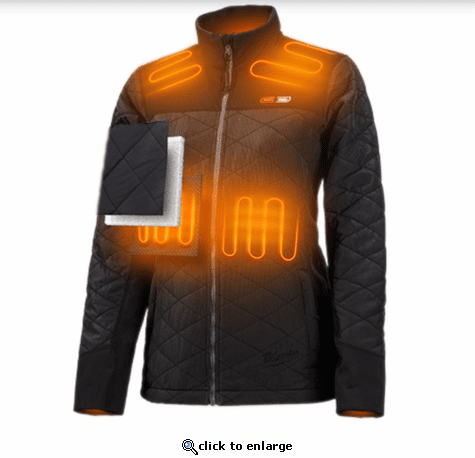 Wind and water resistant, the jacket features adjustable heat settings for the core and lower pocket areas. REDLITHIUM™ Battery for up to 6 hours of continuous heat. Designed with Milwaukee durability, the battery delivers fade-free power in extreme jobsite conditions. The battery holder, hidden out of your way in a sleek back pocket that expands for an XC battery, offers a built-in USB port for charging portable electronics. The pocket can be expanded further to fit any M18™ battery pack. This heated gear is available in red, camouflage and black in sizes ranging from S-3XL. The kit includes the M12™ REDLITHIUM™ Battery and charger.